Aylesford Place-Woodland Park is the 2nd most walkable neighborhood in Lexington-Fayette with 3,533 residents. Aylesford Place-Woodland Park has good public transportation and is a biker’s paradise. Nearby neighborhoods: Columbia Heights, Ashland Park, Hollywood - Mt. Vernon, Downtown, Historic South Hill, Eastside and Ashland. Most errands can be accomplished on foot in Aylesford Place-Woodland Park Lexington-Fayette. Aylesford Place-Woodland Park is the 2nd most walkable neighborhood in Lexington-Fayette with a Walk Score of 85. Find apartments in Lexington-Fayette's most walkable neighborhoods: Downtown, Aylesford Place-Woodland Park and Columbia Heights. 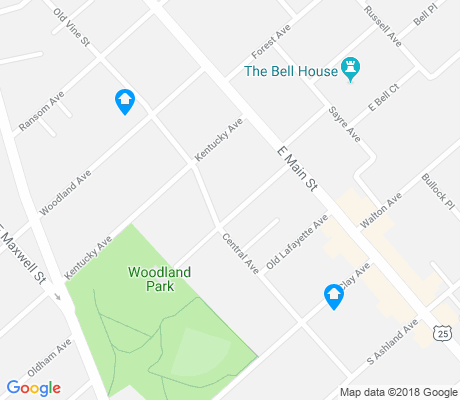 Compare Aylesford Place-Woodland Park to other Lexington-Fayette neighborhoods. There are about 113 restaurants, bars and coffee shops in Aylesford Place-Woodland Park. People in Aylesford Place-Woodland Park can walk to an average of 5 restaurants, bars and coffee shops in 5 minutes.